Enteropathy-associated T-cell lymphoma is a rare neoplasm with uniformly aggressive features that arises from intestinal T-cells. There is strong evidence supporting its association as a dire complication of celiac disease. The clinical presentation can vary from malabsorption and abdominal pain to an acute abdominal emergency. Originally, it was divided into types I and II in World Health Organization (WHO) classification schemes, reflective of epidemiology and differences in clinicopathologic features. The debate over the degree of separation of the two types is ongoing as new data emerges regarding the pathogenetics. The low incidence and variable patient factors are major barriers in conducting clinical trials and establishing standard treatment regimens. 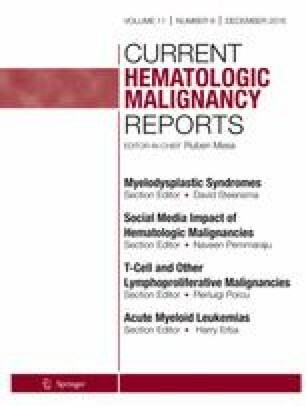 Yet, the collective experience demonstrates favorable outcomes with combination chemotherapy followed by an autologous hematopoietic stem cell transplant in patients who can tolerate such treatment. The prognosis remains dismal; thus, future research studies are warranted to identify effective novel therapies that can improve outcomes in this rare disease entity.